Over the last few snowfalls here in Cambridge, we flew our little DJI Phantom 2 quadcopter, which we previously used in shooting Cold Storage, to document the wintry conditions from above. We observed instances of icicle build-up on various Harvard buildings from up close, could see how pedestrian traffic was directed through the narrows of cleared pathways, and were also able to see how the storm affected visibility compared to what clear conditions would afford us on the same kind of flights. We were careful to observe new FAA regulations by keeping the craft in visual line of sight, and as we already had done through the firmware, limited the elevation of our flights to sub-500 feet. The expanse of the spaces we captured were in effect stitched together from a number of shorter flights, which was also necessary due to the battery-life limitations of the craft on a single charge. The on-board transmitter we installed also enables us to also see what the onboard GoPro is seeing in its immediate vicinity, giving us two visual references. As another safety measure, we always ensure that the quadcopter has a GPS-link before taking off, which has it return to hover over its starting location in the instance of any issue due to interference or incapacitation of the pilot. Getting to these kind of visuals has been a gradual learning process, taking numerous test flights to understand how well the drone corrects its own position due to wind drift, how immediately responsive it is at various altitudes, and developing refined motor skills for the operation of the remote control. Through responsible usage, we hope to provide a unique vantage point for numerous other metaLAB projects and initiatives. Originally posted at metaLAB . Hey Buddy!, I found this information for you: "Eye of the Storm". 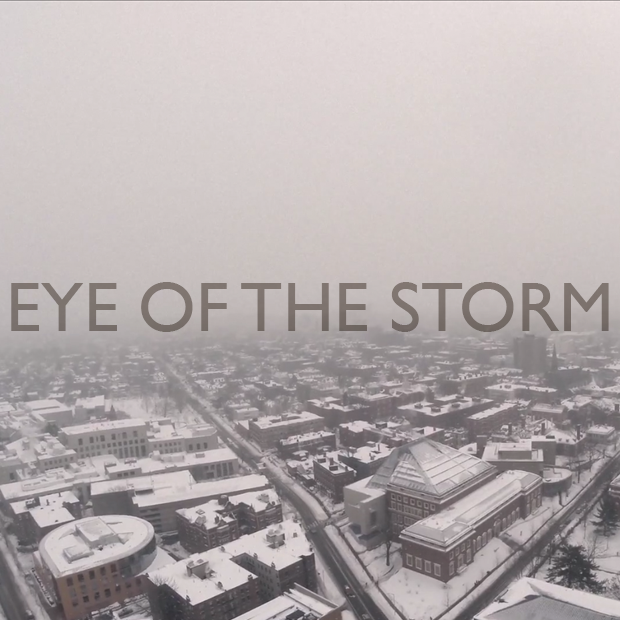 Here is the website link: http://devsite.cristoforomagliozzi.com/video/eye-of-the-storm/. Thank you.